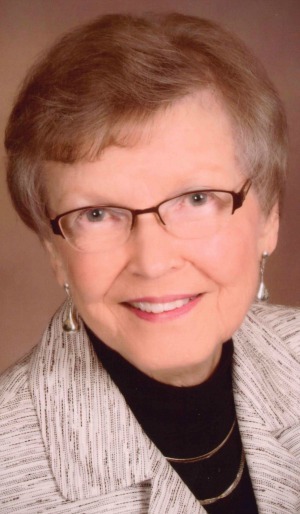 Patricia Ann Piersol Pacinelli, 84, passed away May 15, 2018 at Willow Valley Communities, Lancaster, PA. She was born in West Chester, PA to the late J. Robert and Elinore (McCausland) Piersol of Guthriesville, PA.
She is survived by her husband of 59 years, Dr. Ralph N. Pacinelli, a sister Joan Burks (Roy) Willow Street, PA and a brother Barry Piersol (Vickie) Bowling Green, Ohio, a niece Meredith Bieszczad (Jake) Perrysburg, Ohio, and a nephew Brandon Piersol (Rachel) Ann Arbor, Michigan and five great nieces and nephews, Vera, Lena, Iris, Bennett and Hudson. A 1952 graduate of Downingtown High School, Patricia earned a degree in nursing from Bryn Mawr Hospital in 1955 and a BS in nursing from the University of Pennsylvania in 1959. During her career, she held positions in hospitals, doctor’s offices, and public health programs. She also conducted nursing home inspections. In 1988, she suspended her career to become a caregiver for her parents and in-laws. She enjoyed sewing and gardening. In retirement, she became a dedicated volunteer at Willow Valley. Patricia was a member of First United Methodist Church of Lancaster. The family wishes to thank Arbor View staff for their excellent care and compassion. Relatives and friends are invited to celebrate Patricia’s life on Saturday, June 9, 2018, at 11 a.m. in the Johnson Auditorium, Willow Valley Manor North, 600 Willow Valley Square, Lancaster, PA. In lieu of flowers, donations in Patricia’s name can be made to FUMC of Lancaster’s capital fund, 29 East Walnut Street, Lancaster, PA 17602. I am sorry for your family’s loss of Patricia. May you find comfort in the many precious memories you shared as well as God’s promise to restore our dear loved ones to perfect life on a paradise earth. As you contemplate this promise, draw close to God in prayer and he will draw close to you and provide the needed strength to carry you through the difficult days ahead. All the best wishes for your family at this time, take care. Pat was a warm, welcoming presence at Willow Valley when we arrived, and continued to be an exceptional person. I worked with her in the VV-North mailroom and she came to my aid when I passed out one morning. She was right there when I awoke and on hand as the WV nurses arrived. We feel honored to have been acquainted with such a caring person. Our thoughts go out to her husband and her beloved family. So sorry to hear of Patsy’s passing. We will miss her at the Cook Reunions. May she rest in peace. Pat was a loving caring person. We always enjoyed her presence. Pat will long be remémbered at Willow Valley for her caring and kind spirit. Sue enjoyed working with her in the mail room and the library. Pat put others first and always was willing to help in any way possible. I shall miss the friendship of this amazing woman. She was a kind, generous, spiritual , and beautiful woman. I was fortunate to have worked with her for several years and we continued to have a very special relationship. Heaven has received a sweet soul!! After greeting her on her evening walks around the third floor the beginning of the year, It certainly was a shock to hear of the tragic event that led to her death. She also talked about the medical problems of her family. Pat was a fine woman and I send my sympathy to you. God gave us the great gift of memories and I am sure the family and many of us have many fond memories of Pat. God bless you. We were sorry to hear of Pat’s passing. Our thought and prayers are with you at this time.